My girls will have their first day of school soon and these charms couldn't have came at a better time. Lots of different colors for them to mix and match with their outfits. 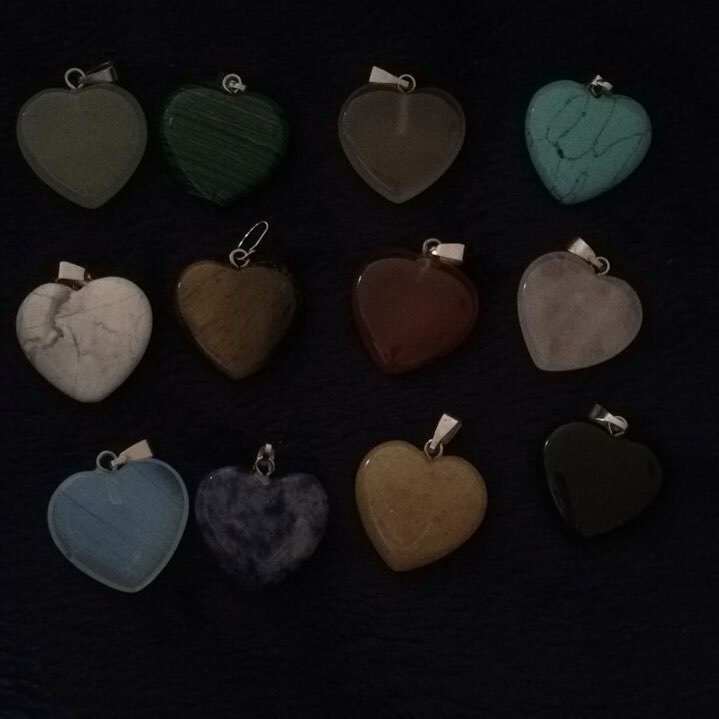 They can be use on necklaces, chokers, or even used in crafting projects. I already have a favorite and the girls were told that they have to share with each other. Very easy to change out on chains or chokers. You get 12 charms in Opal, Topaz, Rose Quartz, Green Aventurine, Grey Agate, Red Agate, Obsidian, Malachite, Tiger Stone, Lapis, Turquoise, and White Turquoise. Spunky Charms can be found at my affiliate link below. Disclosure: MarksvilleandMe received one or more of the products mentioned above as part of a promotion with Tomoson and Spunky Charms. Regardless, MarksvilleandMe only recommends products or services we use personally and believe will be good for our readers. Some of the links in the article may be “affiliate links.” This means if you click on the link and purchase the item, I will receive compensation. If you would like MarksvilleandMe to review or promote a product or service please contact us at marksvilleandme@gmail.com.